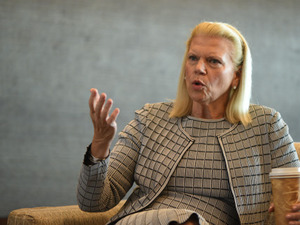 Global tech major IBM chief Ginni Rometty has said Indians lack the required skill sets even as new-age jobs galore, and exhorted all to look at education beyond obtaining/giving away degrees. The USD 180-billion domestic software industry directly employs over 4 million. In remarks that come amid similar concerns voiced by other tech leaders domestically, Rometty, the chairman, president and chief executive of IBM, said this is a global problem and not just limited to Indian shores. "In India, you have the same issues. Open jobs, (but) no matching skill sets," she said, speaking at a company conference here on Wednesday the 13th of March 2019. "You have got to believe in a few different things than I think you believed in the past. One is to believe that skills are perhaps more important than a degree," Rometty said, amid reports of huge unemployment among qualified engineers who when employed at the entry level are paid much lower than those semi-skilled with experience. There have been reports that nearly three-fourths of the millions of engineers and B-school graduates are not simply not employable at all, speaking volumes about the quality of both the academics as well as the admission process in the country's education systems. According to private economic think tank CMIE data, as of February, there were as many as 31.2 million youth actively looking for jobs. This is in a country where over 60 percent of the 1.35 billion population are under 35. "It can be that you can have folks with less than a university degree, but participate well in this industry," Rometty said. Contrary to perceptions of jobs being in short supply, she said there are jobs aplenty and an equivalent number of people looking for them, but the skillsets are not matching, which is the real problem. She said businesses and governments have to work together to solve the issue at hand, underlining that we cannot have a world of the haves and the have-nots in this new world where certain people know how to work in the new technology-led era and the vast majority of others do not. Posing a question on whether tech will kill jobs, she said the nature of jobs will undergo a change and also spoke about her company's social sector projects, especially those aimed at educating women. Two years ago, the head of a leading European tech player had alluded to similar concerns as Rometty. He had said over 65 percent of the Indian IT staff is "just not re-trainable", and had taken potshots at the Indian education system also he blamed the tech companies for not doing enough. "For some unknown reasons, we call it a knowledge- driven industry. If you have that kind of talent, and then making them learn the existing technology itself is such a huge challenge," he had wondered. UTILIZE THE "SKILL DEVELOPMENT PROGRAMS" OF RIMSR. For more information mail registrar@rimsr.in. RIMSR trained over 200 students in my educational institutions on “Digital and Business Literacy.” As an educationist, I recommend this course to all the students, because, the program gives them the basic survival skills. A huge thanks to RIMSR. I am now a certified project manager. The content of the Advanced Program in Project Management is great. Practically I did the course for free as I was given waiver of 90% considering my merit. Thanks RIMSR. I did the “Business Finance” course in RIMSR. It’s a great program and a must for all. It’s well structured, rich in content with plenty of illustrations. That it’s an online program, it never came in the way of my regular work-schedule. Moreover, it is supported by mentors who gave me all the help whenever I needed any clarification. Teachers from RIMSR taught me basics of computer. I passed in distinction in Digital Literacy Program. I am very happy, because now I am better than others. They have also told me we will teach you good English, and business basics. I want to pass and look after my family because I can get a job easily. They did not charge me any fee it was free. Thank you sir. Thank you RIMSR for having trained 90 students of our school (St. Ann's Indian English School, Bangalore) on Computer Literacy. The program is extremely useful, particularly to students in X and XI standards. They have now learnt computer skills the right way. It is indeed a delight to see them displaying their profiiency in Excel program, preparing spread-sheets, and writing simple macros. All these students are interested in acquiring financial and business skills. Do help them, becuase, in my view, these are the most essential vocational skills one should possess to compete shoulder to shoulder in the fiercely competitive job-market. Rangnekar Institute of Management Studies and Research(RIMSR), is a "not-to-profit" education trust registered under the Indian Trusts' Act, 1832. A NUMBER OF SCHOLARSHIPS ARE AVAILABLE IN THE FORM OF FEE WAIVER UPTO 90% OF THE PROGRAM FEE FOR CERTIFICATE PROGRAMS PURELY BASED ON THE MERITS OF THE APPLICANT. AVAILING SCHOLARSHIPS IS NOT A MATTER OF RIGHT AND IT’S PURELY DISCRETIONARY .